If you have a problem to play the movie, please make sure that RealPlayer 7 or newer is appropriately installed. 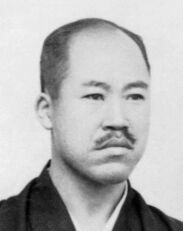 Dr. Hakaru Hashimoto was born in Iga-Ueno 1881, and graduated Medical School of Kyushu Imperial University. In 1912, he first described chronic thyroid disorder with diffuse lymphocytic infiltration, fibrosis and parenchymal atrophy. He termed it as "Struma Lymphomatosa", which is now referred as Chronic thyroiditis or "Hashimoto disease". The logomark of Japan Thyroid Association was designed to commemorate in the memory of his achievement.